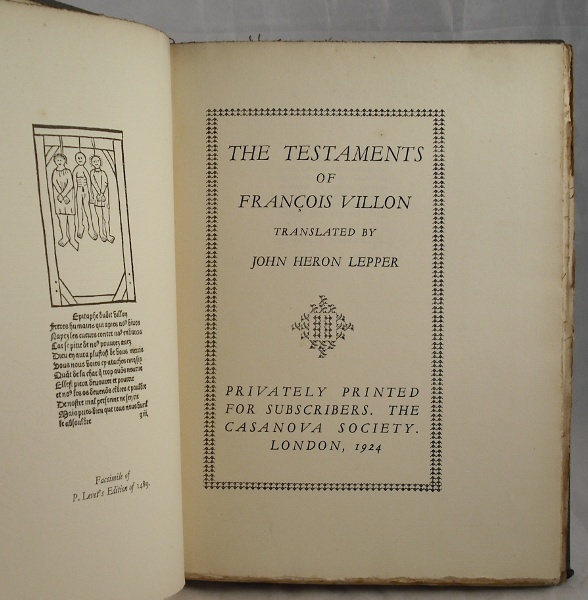 Handsome quarter vellum privately printed edition of the Testaments of Francois Villon, legendary 15th century poet and rogue. Limited to 750 copies of which this is number 707. 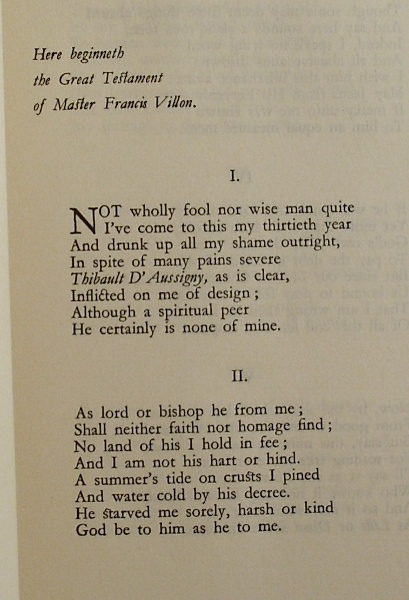 Facsimile from P. Levet's 1489 edition as frontispiece. 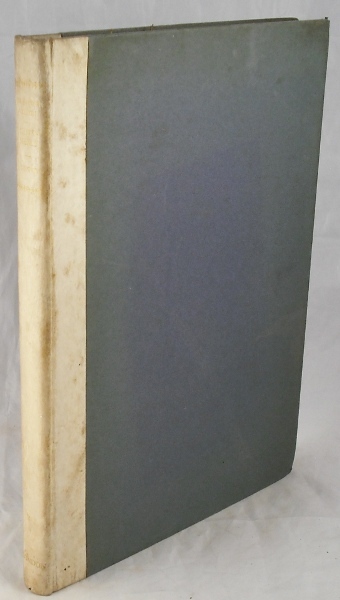 Fore-edge uncut. Slim 4to. 145pp. Vellum slightly soiled. Blue boards marked. But binding nice and tight. Contents clean. Good condition.